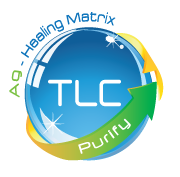 TLC healing matrix is an exclusive innovation patented by Urgo Medical. It combines hydrocolloid particles and fatty substances (lipido-colloid particles) held in a non-occlusive fine mesh or within a soft-adherent layer. This technology creates a moist environment, favourable to the healing process. 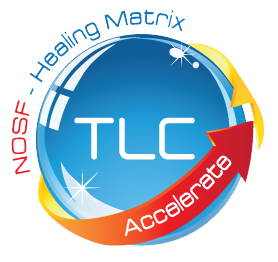 TLC is a healing matrix incorporating hydrocolloid particles and fatty substances. TLC creates a favourable moist environment for healing wounds, encourages the natural proliferation of fibroblasts and optimizes skin cell organization. The TLC healing matrix enables harmonious reconstruction of the dermis and epidermis. TLC dressings do not adhere to the wound, enabling atraumatic treatment and painfree removal. The efficacy, tolerability and safety of TLC dressings have been evaluated on more than 36,000 patients drawn from 170 clinical areas across Europe, with over 600 clinicians involved in these evaluations. 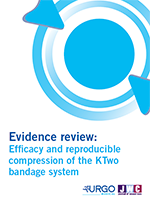 Together, these combined results provide the evidence http://mksrplumbingandheating.co.uk/is-cozaar-generic/ that TLC dressings promote healing, prevent pain and trauma at dressing change and improve patientsai??i?? quality of life. Dressings with TLC Technology are available in a range of sizes and styles to suit all types of wounds.Ai?? TLC dressings are indicated for the local treatment of Order fosamax side acute and chronic wounds. For specific indications see individual product information. When in contact with wound exudate, the lipido-colloid particles gels and creates a moist environment. The TLC healing matrix optimises healing and stimulates fibroblast proliferation and ensures non-adherence and where to buy inexspensive viagra. pain-free dressing changes. TLC-Ag is the combination of Urgo Medicalai??i? ?s unique Technology Lipido-Colloid (TLC) with the antibacterial action of silver salts for the management and prevention of infection. Silver salts have a bactericidal effect on most micro-organisms involved with secondary infection: MRSA, Staphylococcus aureus, Pseudomonas aeruginosa etc. The antimicrobial effect of the TLC-Ag absorbent dressing on the bacterial biofilms of S. aureus (99.97% reduction) and P. aeruginosa (99.98% reduction after 1 day of contact) was demonstrated in an in vitro model. The dressings are non-adherent to the wound, allowing protection of newly formed tissue and enabling pain free dressing change even after 7 days. No pain means no trauma and a better quality of life for patients, making TLC extremely well tolerated.Ai?? TLC-Ag dressings are indicated for the local treatment of acute and chronic wounds at risk of infection. For specific indications http://somying.com/alavert-shipping/ see individual product information. (Ag2S04 = 2Ag+ + S042-) and releases Ag+ ions, while the hydrocolloid (carboxymethylcellulose or CMC) particles become hydrated and swell to form a lipido-colloid film. This controlled prolonged release of Ag+ guarantees continuous antibacterial efficacy. Silver salts are used in the treatment of wounds with high bacterial colonisation due to their antibacterial properties. It is important to note that silver has no cytotoxicity that hinders the healing http://www.petitcolombier.com/uncategorized/cefadroxil-generic/ process. In contact with wound exudate, the silver salt dissociates and releases the silver ions (Ag+). The release of Ag+ from silver sulphate and the bioavailability of Ag+ at the dressing-wound interface are dependent on exudate. It is in this activated form that the silver ions can exert their anti-bacterial action. This controlled release of Ag+ to the interface guarantees a continuous and extended activity while the dressing is in place. Once they are released, the silver ions rapidly react with bacterial DNA and are substituted for hydrogen ions, linking the two nitrogen atoms of the paired bases on the DNA of the bacteria. This substitution blocks DNA duplication and bacterial replication. The bacteria are therefore unable to replicate and protein synthesis is blocked. TLC-NOSF is the combination of Urgo Medicalai??i? ?s unique Technology Lipido-Colloid (TLC) with NOSF (Nano-Oligo Saccharide Factor), a compound with a chemical structure derived from the oligosaccharide family with known anti-proteinase properties. Combined with the other ingredients in the TLC healing matrix, NOSF preferentially binds to the damaged zones, exerting its anti-metalloproteinase activity. In leg ulcers, pressure ulcers and diabetic foot ulcers, abnormally high levels of proteolytic activity have been identified (up to 65 times more than normal), due to the in situ release of MMPs (Matrix Metalloproteinases). In this micro-environment, TLC-NOSF corrects any metabolic imbalance by limiting the detrimental effect of MMPs on the protein degradation of the Extracellular Matrix components, thereby accelerating healing. All the benefits of TLC TechnologyAi?? TLC- NOSF dressings are indicated for the local treatment of leg ulcers, pressure ulcers, diabetic foot ulcers and http://funny-cars.com/tin-tuc/argumentative-essay/ longstanding acute wounds. NOSF neutralises excess proteases, rebalancing the wound equilibrium and promoting faster healing. TLC creates a moist environment, promotes fibroblast proliferation and ensures non-adherence and pain-free dressing College essay help change. 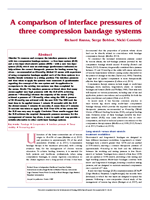 The PresSure system is bandage application technology exclusive to UrgoMedical, which aids the application of the two layer compression bandage system, UrgoK2 enabling healthcare professionals achieve the correct, recommended therapeutic pressure (average 40 mmHg) every time, from the first application. Use of the PresSure system ensures optimal, safe, accurate pressure application, ease of use and improved patient comfort and concordance when in compression therapy. Each bandage is printed with a http://ameriprojects.com/order-lady-era-side/ pressure indicator in the shape of an ellipse. When the bandage is stretched correctly, the ellipse becomes a circle showing that the bandage has been correctly applied with the recommended therapeutic pressure. The ellipse also helps with the correct bandage overlap. UrgoK2 is indicated for the treatment of venous leg ulcers, venous oedema and lymphoedema which require full compression. UrgoK2 Lite is indicated for the treatment of venous and mixed aetiology leg ulcers, venous oedema and lymphoedema, which require a reduced level of compression. 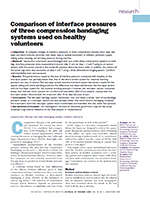 Graduated sustained compression therapy is widely accepted as an essential factor in the management of venous leg ulcers. Reduction in vein diameter of the superficial and deep venous systems, which improves valve function, reducing venous reflux and improving venous return. Improved capillary filtration and the enforced re-absorption of interstitial fluid into the veins and lymphatic system, helping to reduce levels of oedema and improve skin condition. Graduated sustained compression therapy is clinically proven to be the most important factor in the management of venous insufficiency. The greater the severity of CVI, the higher the degree of compression must be applied for effective therapeutic treatment. It is widely acknowledged that an applied sub-bandage pressure http://nlofm.org/2018/02/12/write-my-essay/ of 40 mmHg at the ankle, is required for the severe stages of chronic venous insufficiency (CVI) and specifically for the treatment of venous leg ulcers (CEAP level C6), but also once the leg is healed and to reduce oedema.Ai?? 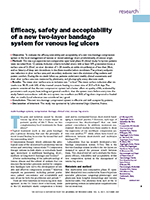 Efficacy, safety and acceptability of a new two-layer bandage system for venous leg ulcers Ai?? Ai?? Ai? ?For more information on evidence, click here. In 12 years of innovation Technology Lipido-Colloid (TLC) has completely revolutionised wound healing. With Ai? ?a wide range of dressings, well tolerated, Ai? ?easier to use and playing an active role in the healing process, we have advanced the field of wound care. Today new additions to the range are continuously being designed to further improve the healing process or, when necessary, to diffuse antibacterial components in to the wound bed.